As Founder and Chairman, Kevin Sproles drives Volusion's overall strategic vision while overseeing all facets of the company's operations. Kevin originally started coding and designing websites early on in his career, and his passion quickly grew into a business. Out of the numerous clients he quickly acquired, most started to request the same need – a shopping cart. At this time, shopping cart software was in its infancy. Always up for a challenge, Kevin took the endeavor head on. With very little money and a great deal of perseverance, he started coding shopping cart software and Volusion was created in 1999. In Volusion's early stages, Kevin worked by request to build software that fit clients' needs, often staying up all night implementing a new feature. He notes that his favorite thing to tell clients was, "Remember that feature you asked about yesterday? Here you go." This mentality remains a core value at Volusion to this day and drives its developers to continually implement new features and functionality to benefit those who know it best – their customers. Kevin has won several business awards for his success with Volusion, including BusinessWeek's "Best 25 Entrepreneurs Under 25" and the San Fernando Valley Business Journal's "40 Under 40 Leadership Award." Despite these personal accolades, Kevin's greatest honor stems from his philanthropic work. As a believer in the adage, "great success demands great responsibility," Kevin established the Volusion Foundation. In addition to providing deserving non-profit organizations with free online stores, the Volusion Foundation also generously donates to World Vision to improve the lives of impoverished children around the world. Kevin recently made a visit to Africa for a first-hand view of how the foundation's donations were being utilized. After his return from such an inspirational journey, Kevin is more dedicated than ever to grow Volusion's reach to enhance lives, both on and offlline. Derek Willis, General Counsel and Secretary, is responsible for worldwide legal affairs for Volusion, including all corporate, commercial, IP, litigation and compliance matters. As the leader of our legal team, Derek is also focused on developing a legal strategy that assists Volusion in achieving its key strategic goals and advises management and the board of directors on corporate governance matters. 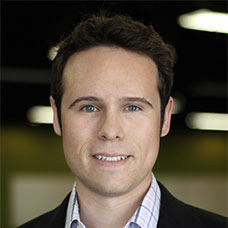 Prior to joining Volusion in October 2012, Derek was a corporate/securities partner in the Austin, Texas office of Wilson Sonsini Goodrich & Rosati, where he built a practice focused on public offerings, mergers and acquisitions and venture capital and private equity financings for emerging growth companies. In addition, Derek regularly advised management and boards of public companies regarding corporate governance and SEC compliance matters. Derek primarily represented companies in the Internet, semiconductor, software, clean technology, telecommunications and life sciences sectors, as well as investment banks and venture and private equity funds. Derek was awarded a BBA in Accounting from The University of Texas at Austin, and a JD from the University of Texas School of Law. Derek was named in the 2012 edition of Chambers USA: America’s Leading Lawyers for Business. Bardia's combined entrepreneurial, consumer product and enterprise software experiences have helped him shape a philosophy of autonomy, transparency and simplicity. These traits serve as a catalyst and opportunity to create the best possible products for Volusion LLC customers by fueling a drive towards high-quality digital experiences that get shipped to market quickly and seamlessly. He programmed his first commerce sites and founded his first web design company when he was 17. Bardia successfully founded and bootstrapped a multi-million dollar creative agency: Lolay. More recently, he started a data-driven workforce science/analytics company: Codalytics. He is on the advisory board of several startups in Los Angeles and San Francisco, including Seedling, and has served as a mentor to entrepreneurs at Pepperdine and Cal Lutheran Universities. His professional experience includes time at companies such as eHarmony, Intuit and IAC. 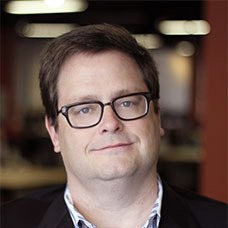 He's directly helped launch over 150 software and SaaS products, collectively totaling $3b+ in annual revenue, for companies such as Alibaba, Gifts.com, OpenTable, Hearst Corporation, Citrix, Evite, Kaiser Permanente, Thomson Reuters, eHarmony, Intuit, and IAC. He is also a named inventor on several design and utility patents (approved by USPTO). Bardia is extremely passionate about driving positive change in organizations and fundamentally believes that people should always be the number one priority in every case; customers, employees and shareholders alike. Bardia holds an MBA from Pepperdine University. In his free time he likes to be with his family, visit new local spots, travel, go outdoors (hike, bike, walk), and solve problems he encountered during the week. Jason Wallis, Chief Technology Officer, is responsible for driving the next generation of the Mozu platform. Jason works closely with the leadership and product teams to define an architecture that efficiently meets the needs of our customers. Jason is a software developer at his core, owning a strong passion for crafting technology and software that drives business growth. Jason believes that any problem can be solved by "just doing it," instead of spending unnecessary time talking about a solution. He brings almost 20 years of experience to Volusion, starting his career as a private consultant that built custom software to take small and medium businesses to the next level. 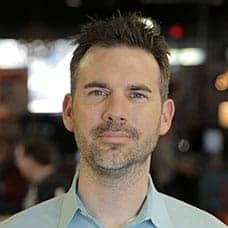 After a brief period in technology consulting for the public sector, Jason spent 12 years at Dell as an architect on their industry leading ecommerce platform. He eventually moved to the role of Chief Technical Architect for all of Dell's internal software development. Jason believes in the power of teamwork and knows that great things happen when people collaborate to solve a problem. He is an avid Agile enthusiast and embraces the power of innovative ideas and direct customer feedback. Jason believes that customers' needs should drive the direction of a technology platform. When not immersing himself in the work of building software, Jason enjoys the live music scene in Austin and spending time at his ranch with his wife and 4 children. Randon Kelly, Vice President of Finance, is a key member of the decision-making team, working closely with executive leadership to drive growth and efficiencies. Randon is responsible for the financial planning, analysis and reporting activities. Randon's leadership experience includes three years at GE Capital, 15 years at Dell, and serving as the Finance Director of Andrew Harper. For the two years prior to joining Volusion, Randon founded and ran his own financial management consulting company where Volusion was a client. This experience cemented his passion for helping small and medium sized businesses achieve success. A 5th generation Texan, Randon grew up overseas in Greece, Saudi Arabia, and Brazil but saw fit to return to his native land where he earned both a BBA and an MBA from The University of Texas at Austin's McCombs School of Business. 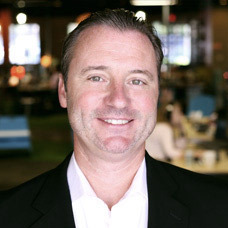 Greg Westrick, Vice President of Enterprise Sales, is responsible for bringing the power of the Mozu™ platform to large businesses, and contributing to the continued success of Volusion, Inc.'s best-in-class portfolio of SaaS commerce solutions. Greg has over 20 years of experience in digital commerce, consistently developing top performing teams that deliver client success at companies such as Oracle, Art Technology Group, marchFIRST and CompuServe. 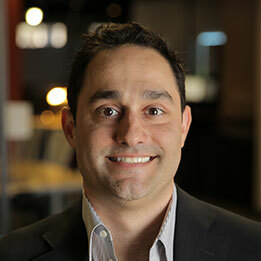 He has a focused passion for enabling consumer-facing, revenue-driving software and service solutions for his clients. 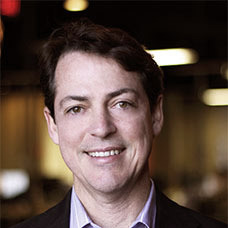 In 2012, Greg was awarded the Oracle Retail Global Business Unit Sales Leader of the Year. 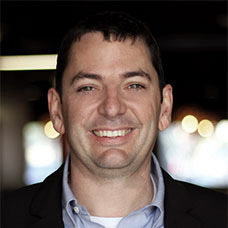 Greg holds a Bachelors of Science in Marketing and Management Information Sciences from Miami University and a Master of Business Administration from The Ohio State University. Outside of his professional pursuits, Greg enjoys sharing time with his wife, encouraging the endeavors of his children, and seeking out the diverse adventures life has to offer. 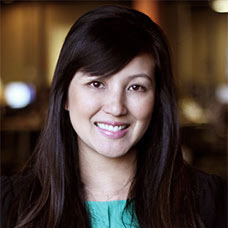 Sandra Nguyen, Vice President of People & Culture, leads two important teams within the organization: People & Culture and Recruiting. Her role is to ensure that Volusion continues to be a Top Workplace and hire the best talent to boost the organization’s goals. Receiving her PHR in 2009, she has worked across multiple functions within the company, providing her with the skill set needed to craft high performing teams that continuously deliver on Volusion’s core values. A finalist in Austin Business Journal’s 2010 Central Texas Women of Influence, Sandra is a strong believer in forging her own path and developing innovative initiatives for the Volusion team. Outside of work, you can often find Sandra on a golf course somewhere cheering on her two boys from the sidelines. Jonathan Roeder, Vice President of Architecture, drives the product vision and architecture for the Mozu Commerce Platform. Jonathan works daily with leadership, clients, partners and product teams to envision, architect and build the future of Mozu. He brings over 15 years of globalized digital commerce experience, first as the lead architect for Dell.com and as a founding member of the Mozu team. Jonathan combines expertise in information retrieval, catalog, content and digital asset management, merchandising, scalability and extensibility with a passion for platform and product development. By leading both the product management and architecture efforts at Mozu, Jonathan is able to bridge the gap between ever increasing market and client needs and the ever evolving technology landscape. Outside of his professional life, Jonathan loves being run ragged by his wife and three kids, and sampling the Austin tech and music scenes. Ani Gujrathi, Vice President of Engineering, is responsible for the Design, Development and all Engineering aspects of the Mozu Platform. Ani works closely with the Office of CTO, Product Management & Marketing leadership and Cloud Ops team to keep the Mozu platform at the cutting edge of latest in Commerce technologies through rapid deployment of new features using Agile methodologies. Ani believes in recruiting top talent and building highly innovative, effective and collaborative teams to solve business problems. Ani brings over 18 years of experience in various IT and Engineering verticals including Global Enterprise Commerce, Global Fulfillment and Logistics, M&A Integrations and Enterprise Architecture. 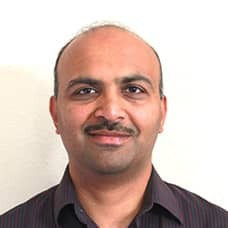 Ani started his career in Auto Industry as a Software Engineer and spent next 15 years at Dell building IT solutions to various complex business problems eventually leading Dell IT’s Global Enterprise Architecture team responsible delivering Technology Strategy and 5 year roadmap to the office of CIO. Ani holds a Masters in Computer Science from Oklahoma State University. Outside of work Ani enjoys live music, traveling and spending time with his wife and two kids. 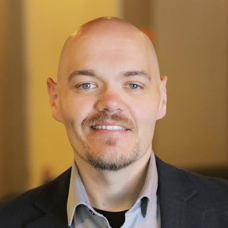 Mike Haze, Vice President of Product Strategy & Solutions, has over 17 years of experience in enterprise systems architecture and commerce solutions, designing and engineering systems for all operational areas for companies like Dell and Dun & Bradstreet. He has focused his career on helping companies truly blend technology with business functions to drive meaningful and measurable results. Mike has a true passion for innovation, has more than 10 patents, and a knack for challenging the status quo and creating a path from concept to ROI.